Saint Baldrick's "Shave for a Cure"
The Gilford Youth Center will be hosting “Tune-Up” basketball for girls in grades 9-12. Sessions will be held twice a week, for two weeks. Each session will consist of fundamental drills, conditioning and live scrimmaging. Instructors will be skilled coaches who will help your child get ready for the upcoming season. “Tune-Up” basketball is open to all children of the Lakes Region, regardless of talent/prior skills. 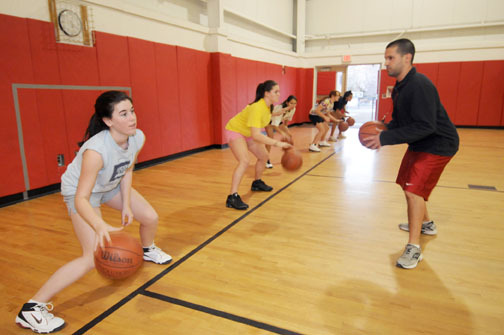 Our goal is to provide a safe, structured and fun atmosphere for your child to learn and improve her basketball skills. The Gilford Youth Center is a non-profit organization with a 501(c)3 status.